2. 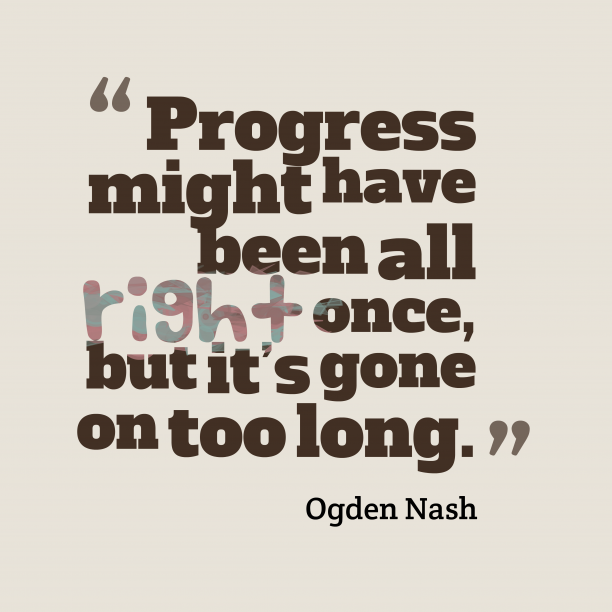 Ogden Nash quote about progress. "A door is what a dog is perpetually on the wrong side of. " "The Preacher, the Politicain, the Teacher, Were each of them once a kiddie. A child, indeed, is a wonderful creature. Do I want one? God Forbiddie! " "The Pig, if I am not mistaken, Supplies us sausage, ham, and Bacon. Let others say his heart is big, I think it stupid of the Pig. " "Candy Is dandy But liquor Is quicker. " 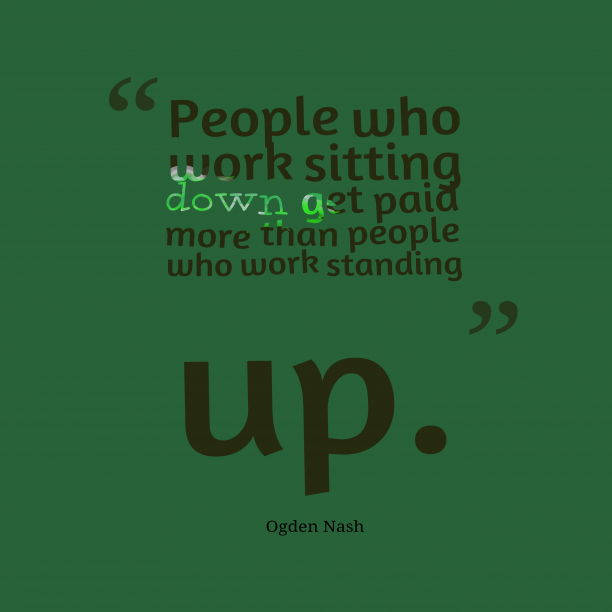 "He without benefit of scruples His fun and money soon quadruples. " "Progress might have been all right once but it has gone on too long. " "Parents were invented to make children happy by giving them something to ignore. "